Today, Lyndsay and Irene Mackay were in the stores. 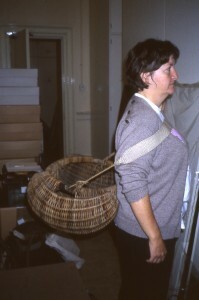 Irene is a former curator of the National Museum, who really systematised the basketry collection. 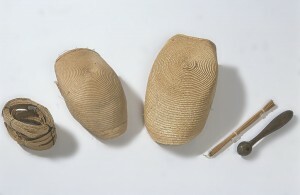 The photographs we feature on this site from NMS were all commissioned in her time, and she put together a book which holds all key information on the collection. This is invaluable. We have been going through the collections cupboard by cupboard, and today was the day we saw the Orkney straw-plaiting industry material. Great to see material evidence of this much spoken of industry. 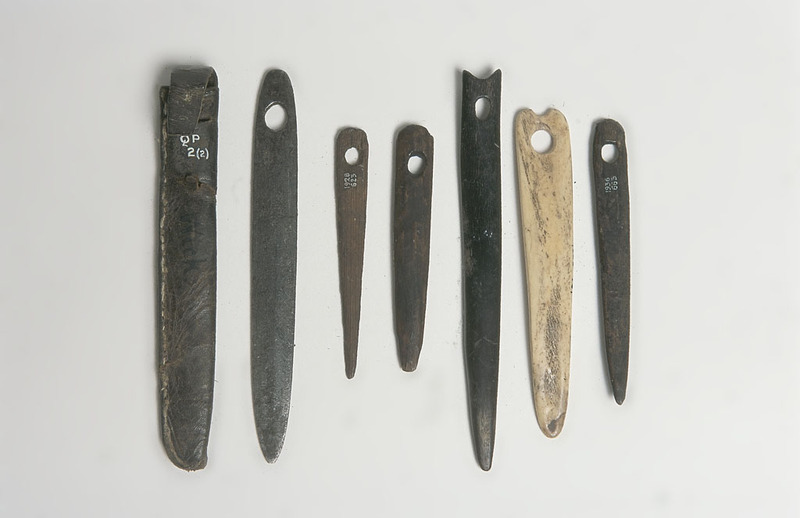 These included a straw-winder or check reel, a straw rope twister, tools for splitting straw, samples of prepared RYE straw from Sandwick, and horn needles for sewing the straw. 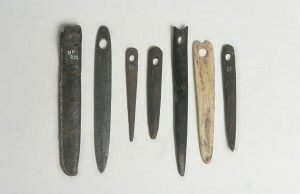 Aside from the Orkney material were some miniature creels and sculls from Moray and Newhaven, along with a split cane scull, a great line basket from Wigtownshire, and a murlin, used. This collection also includes some Arbroath rips as demonstrated here by Liz Balfour. 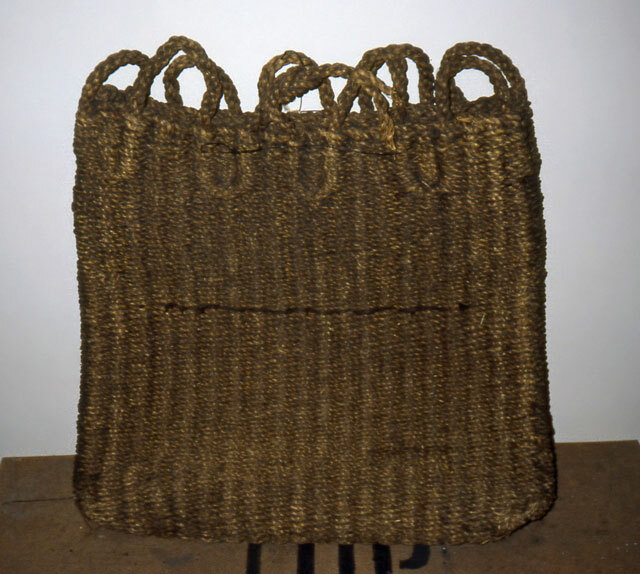 Collected by Erskine Beveridge, the plata mhuillin or plata shil from Heisker, or the Monach Isles, had an old brown label inside suggesting that this wonderful grain basket, so densely woven that it protected its contents from sea and spay, was from 1822. It was used to take grain from Heisker to the mill on the ‘mainland’ of North Uist. Lyndsay, Irene and I got so interested in this basket that we did an internet search on Canmore, which suggested that while in 1810, the population of Heisker had dwindled to zero, the island repopulated in 1891, following the clearances. Timothy Neat’s `When I was young’ tells another story. Lachie Morrison, in this book, tells of how his father moved to Heisker from Grimsay, North Uist in 1945 because the soil was so fertile and he wanted to reverse the trend of depopulation. They lived there well, but no-one came to join them and so they returned in 1948. The story did not end there, because a local ‘cattle king’ took his cattle over there to feed them up. Today the island is a nature reserve.